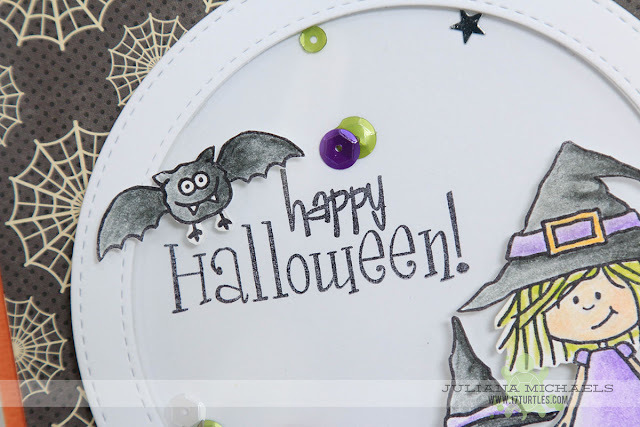 Happy Halloween my crafty friends! 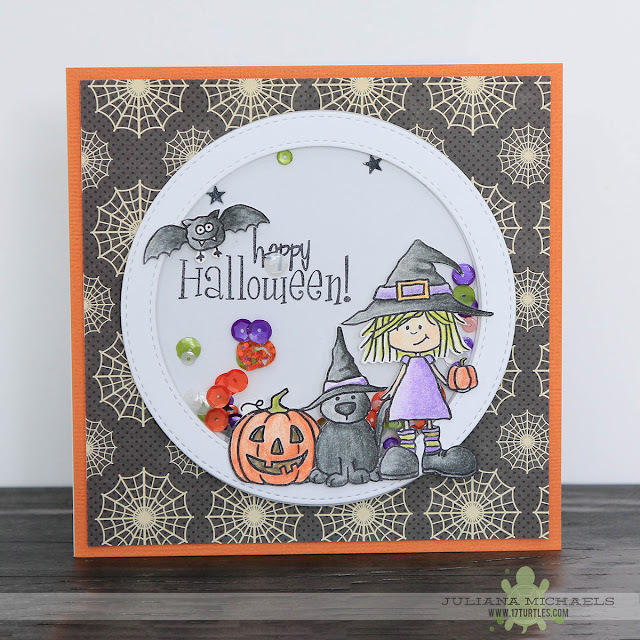 Today I'm sharing a Halloween shaker box card that I created using a combination of super fun products from SRM Press, MFT Stamps, Pretty Pink Posh and Jillibean Soup. 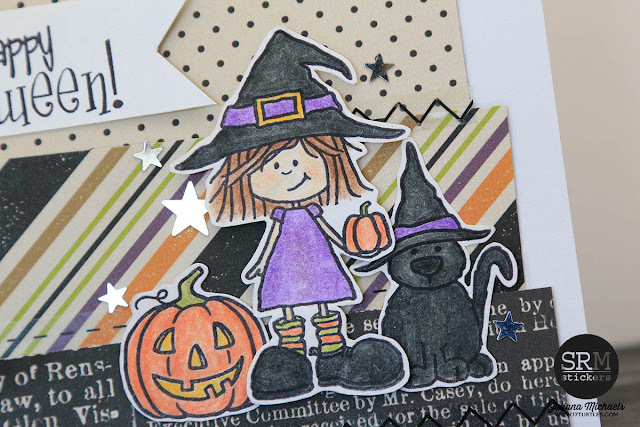 I started off by stamping several of the images from the SRM Stickers / Jane's Doodles Get Candy stamp set with Ranger Archival Ink in black. I colored in each of the images using colored pencils and blended the colors using gamsol and blending stumps. Finally, I fussy cut each of the images. 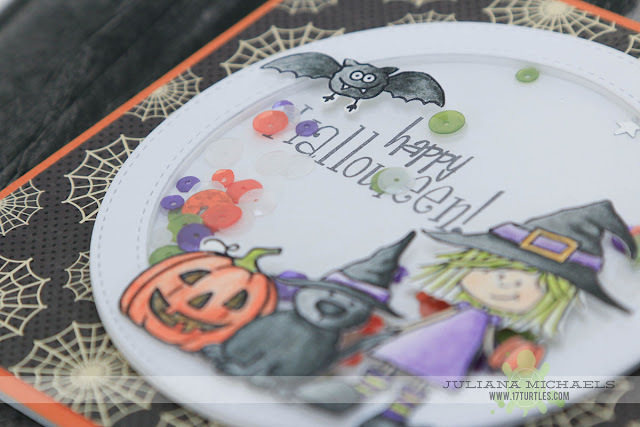 To create the shaker box, I used the MFT Stamps Die-namics Stitched Circle Frames. Those awesome sequins are from Pretty Pink Posh and I added my own touch with the tiny silver stars. I then layered the shaker box onto a piece of paper from the Jillibean Soup Owloween Stew 6x6 Paper Pad and American Crafts cardstock. 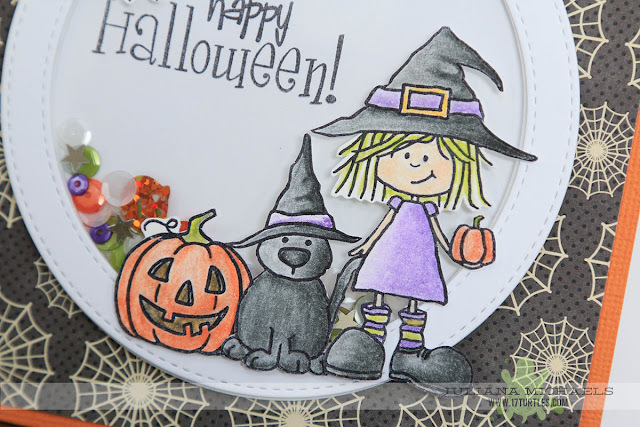 If you are looking for more Halloween card inspiration using the adorable Get Candy Stamp Set by Jane's Doodles you can check out another Happy Halloween card I created and that is on the SRM Stickers blog. Thanks so much for stopping by today and I hope you enjoyed the Halloween card ideas I shared with you today! Totally adorable card! Too cute!